Some more photos of manis I feel I wore half a century ago! These are even photographed using my light box because it was the middle of winter when I wore them and it was dark when I left for work and dark when I got home. These are two polishes from Brazillian brand Vermehlo by Marcia Lima. 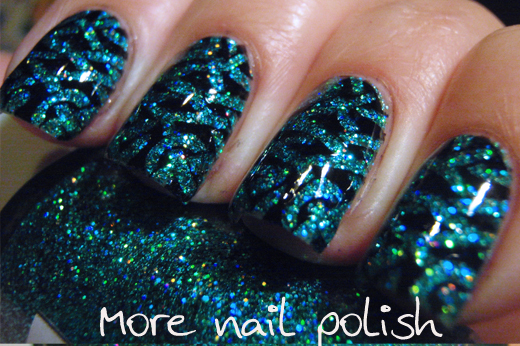 Both are fine dense holographic glitters that provide full coverage. 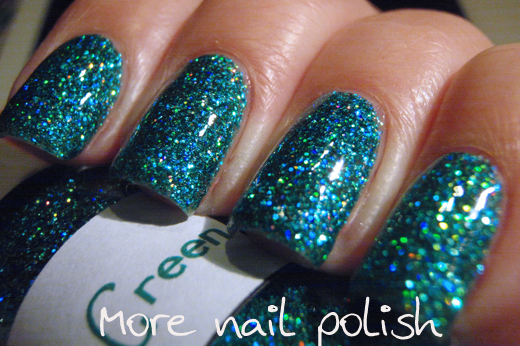 Techno Green - a teal green holographic dense full coverage glitter. This is two coats with Gelous and Seche Vite top coat. 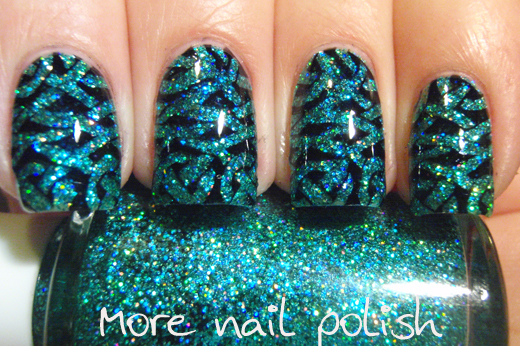 I also added some stamping on top of the glitter, using black polish and Messy Mansion plate MM04. Dorothy's Shoes - a holographic red full coverage glitter in a red jelly base. This is two coats with Gelous and Seche Vite top coat. I have simply no idea what plate I stamped with here (too long ago to remember), but I stamped using China Glaze Passion. 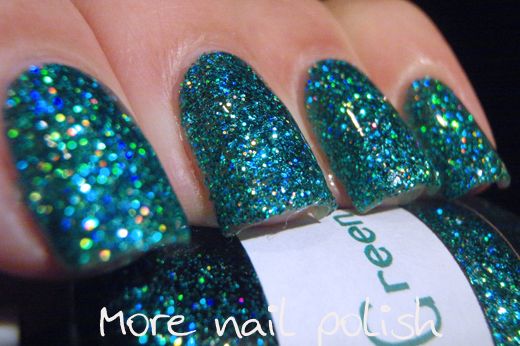 When you look a them, these are actually very simple glitter nail polishes. But the saying says that the simple things in life are often the best, and that saying really runs true for these two polishes. 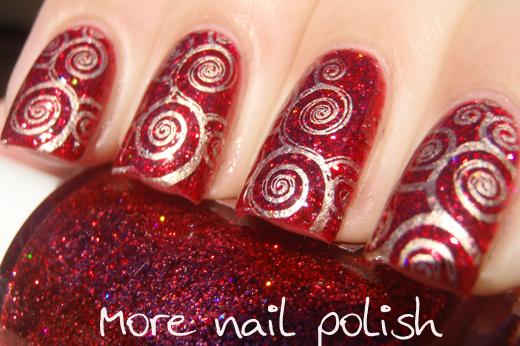 Vermehlo polishes are available from Color4Nails. Looking a the 5 star reviews on both these polishes on the Color4Nails site shows that it's not just me that really likes these two polishes. Techno Green is SO awesome! 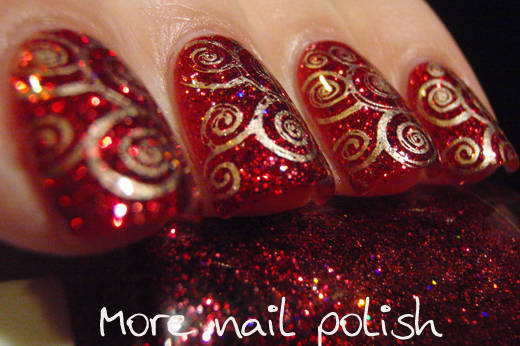 Wowsers..usually I don't want to stamp over pretty sparkly polishes but especially that first one is so neat! Uh wow, they're so pretty both of them! I love the techno green!!! 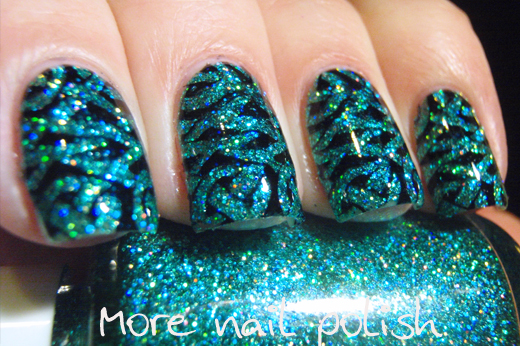 Those Brazilians sure know how to make a droolable holo! 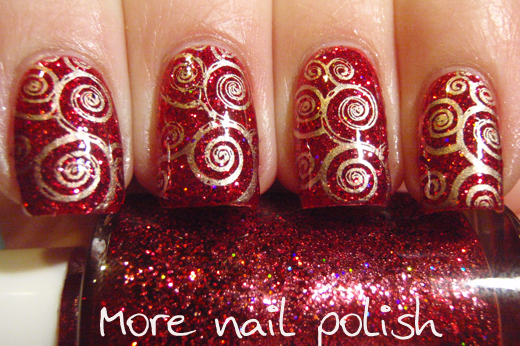 I love the idea of stamping over glitters, so pretty!! Both are beautiful, but I love Techno Green and the stamping!